My Grand mom used to say Nectar is for gods and goddesses, buttermilk is for humans. Called Takra in Sanskrit and Ayurveda it has many benefits. Helps keep the body hydrated: it is a tasty combination of water, curd, essential spices and salt. It’s filled with useful electrolytes, together with salt and water works to hydrate our body. it’s a wonderful drink for the summer when we need to combat dehydration. Reduces blood pressure: Buttermilk is rich in bioactive protein, that has antiviral, anticancer and cholesterol lowering properties. using buttermilk on an everyday basis helps in lowering and controlling blood pressure. It acts as a natural remedy to lower high blood pressure. Helps in burning fat: Buttermilk helps in washing a heavy meal together with its fat. 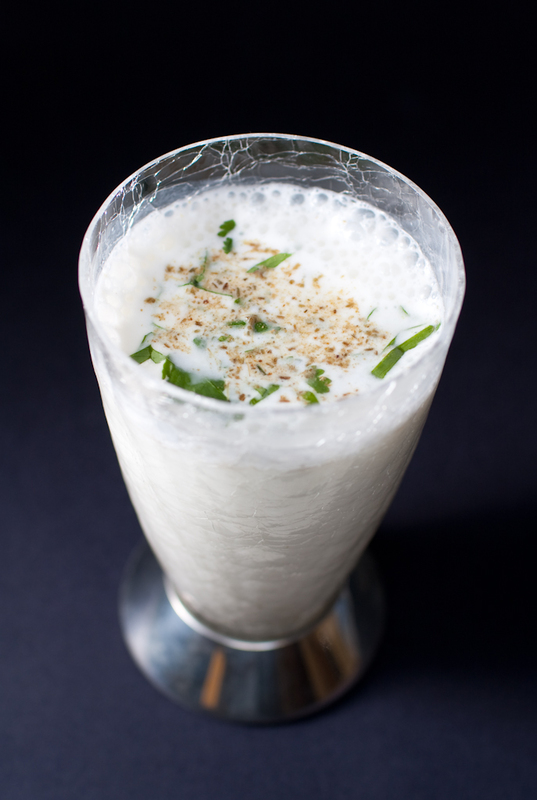 A glass of chilled buttermilk is a wonderful way to get eliminate all the ghee, oil and fat that’s consumed. Such fat, which is taken with meals, coats the walls of our stomach, intestine, and food pipe that causes a sense of discomfort. buttermilk helps in preventing belching too. Helps with better digestion: Buttermilk mixed with pepper and ginger is excellent for the digestive system. A glass of buttermilk loaded with wonderful carminative properties of spices together with refreshing and cooling property of buttermilk helps in improving digestion which surely gives immediate relief. Good for bones: Buttermilk is a good supply of natural calcium. The daily calcium requirement of an average individual is about 1200 mg (adults) and 1300 mg (children). A cup of freshly prepared buttermilk provides 284 mg of calcium, that is much more than a glass of milk. Improves immunity: Buttermilk contains several good bacteria together with carbohydrates that facilitate in building immunity. The body is better equipped to fight infections. Probiotics, minerals and vitamins in buttermilk facilitate intensify the digestive system. Reduces vitamin deficiency: Buttermilk is a rich source of vitamin B complex and also vitamin B2, which is very important for the converting food into energy. It is also necessary for hormone secretion and better digestion, which helps to stay protected from all diseases caused by vitamin deficiencies. Helps to reduce acidity: Buttermilk is a great tool to combat acidity. With its essential spices like ginger and pepper, which provide burning sensation caused by acid, a glass of buttermilk reduces the stomach irritation and provides a quick relief from discomfort. Good source of proteins: Buttermilk is highly recommended for fitness trainer owing to its rich protein content. A glass of buttermilk before training or gym training is good for your health. it’s low in calories and high in proteins that makes it just good for fitness freaks. Removes Sun Tan: Buttermilk is extremely effective in reducing skin tanning or skin burning. you need four tablespoons of buttermilk mixed with a tablespoon of tomato juice. You can rinse in twenty minutes. It helps with immediate results and removes skin redness and dullness. Helps get rid of Marks: To remove spots and stains, buttermilk is often used as a beauty treatment. buttermilk application helps in reducing all acne and pimple marks effectively. you only need to combine buttermilk with orange peel powder. Once you have got a paste, you can apply it on the face. With regular application, you can reduce all markers. Helps Cleanse The Skin: Buttermilk works as a wonderful skin cleansing agent. You’ll use this as your daily skin cleanser. To prepare the cleansing solution combine a tablespoon of buttermilk, 2 drops of almond oil and rose water. Apply this over your face and wash it after ten minutes.